The commercial importance of acacia wood has increased dramatically over the past three decades, particularly in South-East Asia. Extensive areas of new exotic plantations have been established on a ‘learn as you go basis’ and many aspects of silviculture, pest and disease management, and genetic choices have challenged managers and researchers. Although a substantial body of technical knowledge has been generated and shared at scientific meetings on acacia organised by various organisations and groups, there was no obvious forum for ongoing collective consideration of issues or forward planning of a more integrated approach to R&D until IUFRO WP 2.08.07 was established in 2012. 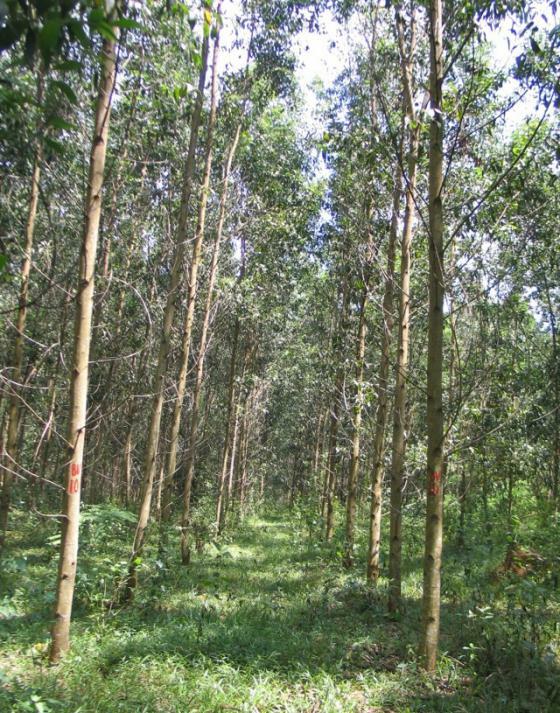 The Vietnamese Academy of Forest Science (VAFS) agreed to host the first international meeting with the theme ‘Sustaining the Future of Acacia Plantation Forestry’ at Hue in Vietnam during 18–21 March 2014. It is through this international meeting that the special issue arose. Although the meeting focused on tropical acacias we recognise the long history of planting A. mearnsii in South Africa and Brazil, and it is hoped that by publishing this Special Issue in Southern Forests we will be able to reach a wider interested audience who were not able to come to Hue. Until the end of May 2015 you can access the four review papers of the special issue, for free here. Guest Editors Rod Griffin, Chris Harwood, Sadanandan Nambiar, Lee Su See and Jane Harbard selected the set of papers and efficiently managed the peer review process. It is the strong hope of the IUFRO WP Co-ordinators that this will prove the first of a regular series of conferences, with a positive effect on collaborative R&D focused on priority issues, and on the rapid uptake of new knowledge by plantation managers. Southern Forests: a Journal of Forest Science is one of the leading forestry journals in the Southern Hemisphere. The journal, which is co-published by NISC and Tylor & Francis, is included in the Thomson Reuters Science Citation Index. Southern Forests publishes scientific articles in forest science and management of fast-growing, planted or natural forests in the Southern Hemisphere and the tropics. *Photograph by: Doctor Chris Harwood, CSIRO Ecosystem Sciences and CSIRO Sustainable Agriculture Flagship. Dong Nai clone trial at age 3.5 years 49-tree square plot of Acacia hybrid clone BV10 (A. mangium x A. auriculiformis). Fast-growing: standing volume over bark at 35 months averaged 56 m3/ha MAI at 3 years = 19 m3/ha.